Ortsippenbücher (singular Ortssippenbuch), also known as Familienbücher and Ortsfamilienbücher, are sources of genealogical information about families within a specific town, village, or parish. Information can cover many generations of a family going back to the beginning of written records. The main text lists individuals alphabetically by surname. Individuals are usually assigned a number for cross-referencing purposes, allowing researchers to find information about a spouse, parent or other person listed elsewhere in the book. Information is usually extracted from church and civil records. A history of the village and the local parish church, lists of those killed in war, and rosters of emigrants to the United States are sometimes also included. 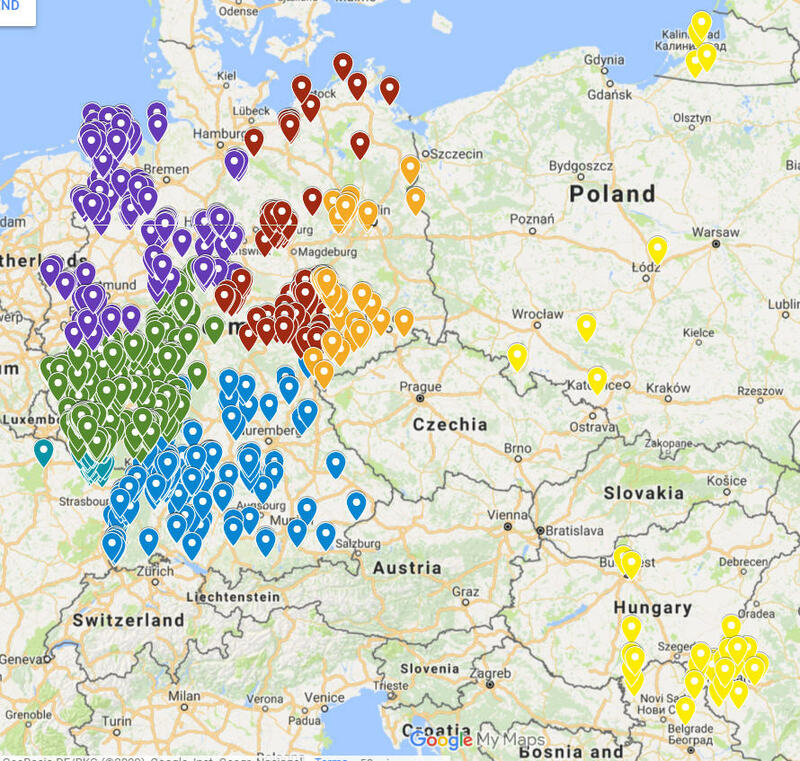 The History & Genealogy Department holds OSBs for areas in Germany; Alsace and Lorraine, France; former East Prussia; and the historical regions of Banat and Batschka in Hungary, Romania, and Serbia. OSBs are written in German (French for villages in Alsace and Lorraine in France). Because most follow a common format. Knowledge of the language is not essential as long as the researcher understands the pattern in which the information is given and is familiary with the symbols and abbreviations used. PDFs inlcude the volume (Band) number in the series Deutsche Ortssippenbücher as designated by the Zenralstelle für Personen- und Familiengeschichte.